Considering startup successes such as Uber, Airbnb, and WhatsApp which became billion-dollar businesses, it’s no wonder that more and more people are interested in entrepreneurship. However, being your own boss and creating a successful business takes dedication, resilience, a growth mindset, strategic planning, and team effort. Although money is a big part of the game, it’s not the focus point. You should aim to create value which in turn will establish consistent cash flows. Underestimating or simply not assessing the challenges of entrepreneurship has led many to failure. To increase your odds for success you should create a mind map around the potential challenges you may face. In an ever-competitive market, you’ll need resilience to withstand rejection from clients, manage your time efficiently and maintain your strength with things get tough. As the leader of your team, you should empower and inspire to ultimately strengthen your company’s market position. Finding good employees is a tough challenge, but they’re the key to your business’s success. Invest in their training and keep them motivated. A high-performance team will skyrocket your business’s success. Brainstorm what problem you want to solve and do some research to find the potential for monetization. Create your products or service focused on your customer. However, you don’t have to reinvent the wheel. By just taking a different approach to an existing service or product, you can create better value. Consider studying the top companies in your industry or business sector and identify what they’re doing wrong or not good enough. A competitor’s weakness can become an opportunity for your business. Search through customer reviews or social media comments and you’ll get the insights you need. Knowing and focusing on your clients is crucial to your business’s success. Developing a product/ service considering everyone will only lead to your failure. You should narrow everything down to specifics. The best way to do this is by studying the demographic and behavioral indicators of your target audience. Based on this data you can create your brand’s persona. By fully understanding your client, you can adjust and tweak your products/ services to perfectly match their needs. This will lead to more sales and increase your company’s profits. The USP (Unique Sales Proposition) can make or break your company. It’s the differentiator which reflects why clients should choose your product or services instead of the competition’s alternatives. By creating an unmatchable USP you establish a clear distinction for your business, attract and engage prospects, boost customer loyalty, improve revenue and simplify your sales efforts. 5. Do You Have Enough Capital? Do You Need Funding? You should have a clear understanding of your business’s financial requirements. Identify costs, sales, profit margins, cash flow and other key indicators related to your business. The ideal approach is to self-fund your business in its early days, so you have full control over it. Consider breaking down your products or services into different phases which you could support financially. After your business gains momentum, consider signing up for a commercial mortgage or pitching to angel investors to secure funds for growth and development. 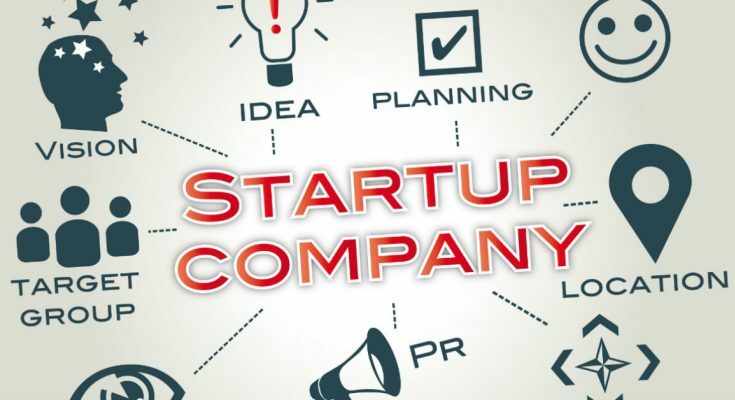 Start-ups usually have a pitch deck to showcase their business to potential venture capital or angel investors. The presentation consists of about 20 slides which show the company’s services, products, technology, and team. Pitching your business for funding is time-consuming and tough, so startups should perfectly articulate a powerful brand message the first time around. You’ll find different types of companies worldwide, mainly classified based on the number of shareholders and the extent of what they are responsible for during the company’s lifetime and after liquidation. Each jurisdiction has its specific legal framework, so you should do your research and based on your business’s nature decide what fits best. You should consider reaching out to a legal advisor from your region who can guide you through the steps of incorporating a new company. With the help of a lawyer, you can race through matters such as submitting the authorized share capital, registering your company’s office, drafting and submitting the Memorandum of Association and the Articles of Incorporation. Depending on your business’s operations, you may require licenses or permits such as sales tax license/ permit, home-based business license, zoning authorizations, city business permits, health or fire safety permits. By letting a lawyer or professional legal advisor handle these matters, you’ll save time and money and can focus on growing and developing your business. A good understanding of the taxation rules and regulations can help you prevent any unpleasant surprises such as fines. Also, it can help you identify key incentives provided by the government. Through some online research on government sites, you’ll learn about the taxation law, how it works and how it applies to your business. Focus on finding venture capital programs offered by governments to support start-ups and small business. For example, the UK government provides great incentives and tax relief for companies which operate in research and development in the UK. Check with the local Registrar what words or names cannot be included in company names. The Registrar is a regulatory body which has the power to reject any names considered offensive, confusing or almost identical to other companies. Words such as investment, trust or bank could be considered exceptional and only accepted if your company is licensed in the specific sector. Fail to plan, plan to fail. It’s only natural that you’re excited about starting your own business. You have great ideas, you know the market and you’re committed to achieving great success. However, motivation and perseverance have no value without a clear pathway. A business plan is the backbone of your company. When you write down your brand’s message, identify market competitors, create your buyer persona and have a financial plan for the next 2 to 3 years, you can determine places where you can improve your business even before you start your company. However, it’ll also become a good way to keep everything on track and can help you determine your business’s progress. You should outline a marketing plan & sales strategy to determine the best ways in which you can promote your business. To cut costs, you should stick to online marketing tools and advertising rather than venture out to traditional advertising. Not only is it more expensive but you limit your brand’s awareness reach. Consider setting up a website for your business’ online presence, and use it to market your products worldwide. Content marketing has become the new form of marketing today. So, to increase your leads and improve conversion rates, you should focus on creating a storyline for your business. By carefully engineering your sales funnel to meet your prospect’s needs, you’ll guarantee a boost in conversion rates and client engagement.